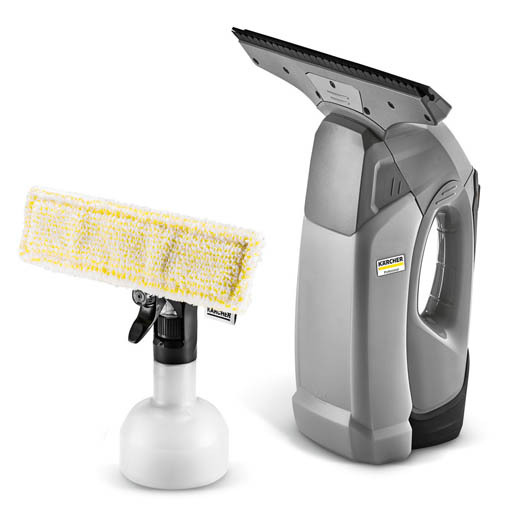 Clean windows, tiles and other smooth surfaces with the handy WVP10. Clean horizontally, vertically and even overhead with ease. Suitable for a variety of smooth surfaces including glass and tile. Use horizontally, vertically or even overhead. 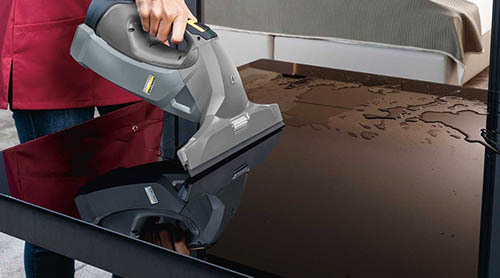 Whether you choose to use the handheld WVP 10 window- and surface vacuum cleaner as a window vacuum or to clean tiles, mirrors, display cabinets, counters or any other smooth surface is incidental. Most importantly, you will achieve streak-free cleaning in any position, even overhead if required. This is ensured, among other things, by the high-speed motor which can deliver much higher suction performance than is common in conventional household vacuum cleaners. Not only is the machine battery-powered, lightweight and robust, it also impresses with its clever details, such as the 200 mm dirty water tank which is simple and quick to empty and can be cleaned easily in the dishwasher. It also features a manually adjustable spacer for perfect results right up to the edges. 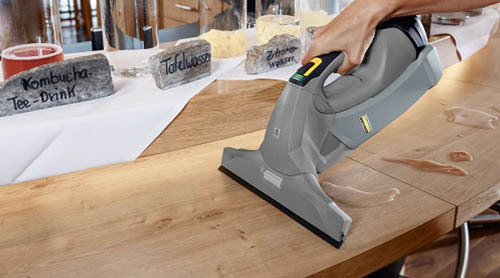 The WVP 10 is supplied together with a battery (30 min runtime), cleaning agents, a battery charger, a spray bottle and a microfibre wiping cloth. The WVP 10 Adv version also features a second exchangeable battery, as well as replacing the simpler charger with a quick charger. 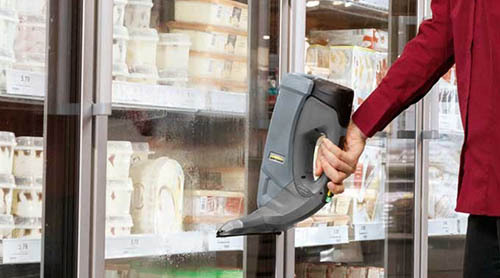 Thus, the WVP 10 Adv surface vacuum cleaner enables almost uninterrupted working.